Few would gainsay that U. S. public awareness of judicial miscarriage in the case of the Cuban Five prisoners remains at a low ebb, despite a worldwide movement on their behalf. A tool with the potential to help change that situation is at hand, however. On October 4, Amnesty International (AI) communicated with U.S. Attorney General Eric Holder concerning Fernando GonzÃ¡lez, Gerardo HernÃ¡ndez, RamÃ³n LabaÃ±ino, Antonio Guerrero, and RenÃ© GonzÃ¡lez.. In a twenty Â page document released October 13, AI called "for a review of the case by the US executive authorities through the clemency process or other appropriate means." U.S. supporters of the Five will note that AI’s summary of the prosecution, trial, sentencing, and appeals process avoids comment on the prisoners’ guilt or innocence. It steers away from the well used anti-terrorist rationale for Cuban Five actions in the 1990’s. The AI appeal, by contrast, focuses on human rights, judicial rectitude, and fairness, considerations perhaps more palatable across the political spectrum. By and large reiteration of the anti- terrorist bona fides of the Five has fallen upon deaf ears. The AI authors observed the defendants were never shown to have "handled or transmitted a single classified document or piece of information." In the trial judge’s refusal to move the trial because of Miami prejudice, they diagnosed violations of international law. "The right to a trial by a competent, independent and impartial tribunal is guaranteed under Article 10 of the Universal Declaration of Human Rights," they said. Additionally, the prisoners’ trial violated the legal doctrine of "equality of arms" between prosecution and defense. The defendants lost pre-trial access to attorneys because they were in solitary confinement. Prosecutors barred defense lawyers from easy access to potentially exculpatory evidence. Regarding prisoner Gerardo HernÃ¡ndez, AI claims evidence advanced at the trial was insufficient to convict him on murder conspiracy in the shoot-down deaths of Brothers to the Rescue pilots in 1996. AI accuses the court of abandoning the presumption of innocence. The U.S. Supreme Court is criticized for refusing to review these and other judicial shortcomings. AI reiterated previous support for two wives of Cuban Five prisoners seeking to visit their husbands in jail. The U. S. government has barred Adriana PÃ©rez from seeing husband Gerardo HernÃ¡ndez for twelve years. Olga Salanueva has been prevented from visiting her husband RenÃ© GonzÃ¡lez for ten years. The AI appeal provides a clear, cogent, and comprehensive review of prosecution and judicial proceedings over twelve years, plus a running summary of issues in contention. The statement could well serve as a readily available repository of background facts useful for advocacy and agitation on behalf of the Cuban Five. Its usefulness on that score may extend well beyond that of amicus curiae briefs submitted before courts, statements and signatures from notable public figures, and declarations from international and U.S. lawyers’ groups. Asking "U. S. executive authorities" to consider clemency for the Five, AI treads on uncertain ground. 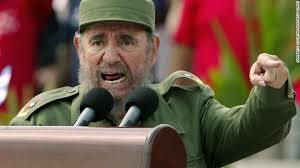 U.S. governments have handed over veto power on Cuba decision making to a Cuban-American old guard. Coincident with release of the appeal, the nature of that power structure was on full display. On October 12 in Coral Gables, honchos of the "Institute of Cuban Historical Memory against Totalitarianism" awarded a plaque to elderly pediatrician Orlando Bosch "for his struggle for more than 70 years for democracy in Cuba." At the head table, Bosch sat next to businessman Enrique Ros, father of powerful Congresswoman Ileana Ros-Lehtinen. In 1990 she helped persuade President George H.W. Bush to release Bosch from jail, enabling him to live with honor in Miami. Bosch it was who, with Luis Posada, in 1976 engineered the bombing off Barbados of a Cuban airliner. All 73 passengers and crew died. In effect, Amnesty International is asking the present U.S. government to choose between toadying before a culture of criminality and simply respecting the law and common decency. NextA Prize or a Bad Joke?